You’ve got a huge project due at work. You still have to buy your friend a present for her birthday next week. Something seems to be wrong with your computer again, which means another trip to the Apple Store. There’s also that race you registered for … and you haven’t even started training yet. Oh, and did you feel that tickle in your throat? Maybe you’re catching a cold. We’ve all been there. When it rains, it pours, and suddenly there’s an insurmountable amount of tasks on your plate. Stress comes and goes. But it’s more than just mental frustration — it can also manifest itself in the human body. Those pesky little lesions that show up in your mouth can be caused by stress. Also known as aphthous ulcers, they can have a tendency to make eating or talking unpleasant. “Often caused by stress, canker sores can be quite painful and may be an indicator that you need some more relaxation in your life,” said Dr. Chirag Shah, an emergency physician and co-founder of Accesa Labs. A change in your relationship with food. Harbstreet added that when one aspect of life feels uncontrollable, some people may become very focused on food. “If you notice that you’re very preoccupied with thoughts about food or meticulously planning your eating and exercise, you may be missing other signs that there is something stressful happening in your life,” she said. When overwhelmed, women can experience issues with their menstrual cycle. Menstrual flow can go away completely or there can be irregularities that prevent a woman from ovulating, said Dr. Shahin Ghadir, who is board-certified in obstetrics and gynecology and reproductive endocrinology and infertility. 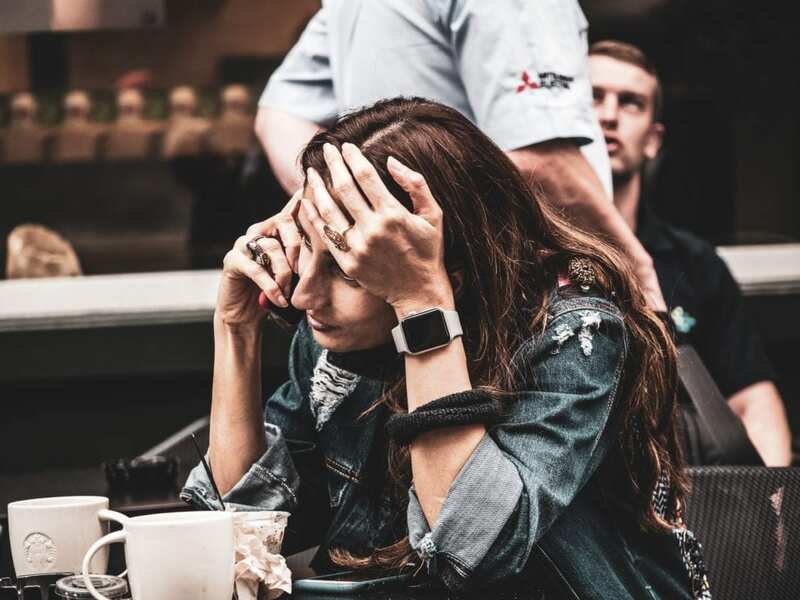 “Additionally, extreme amounts of stress can also affect other hormonal levels that are involved in maintaining a normal menstrual flow and ovulatory cycles,” he added. Aches and strains in the body. Caleb Backe, a personal trainer and health and wellness expert for Maple Holistics, pointed out that muscle tension and chest pain are also signs of stress. If you feel tight muscles, consider getting a massage. As for chest pain, “it could be sharp shooting pain or a persistent chest aching. Many people even experience a numbness or dull ache,” he said. It probably comes as no surprise, but difficulty catching some zzz’s may be a sign of stress. According to the National Sleep Foundation, having a busy mind, tense muscles and racing heart are three clues that pressure and anxiety may be preventing you from your nightly slumber. To better manage your stress, try taking a bath, going for a walk, meditating or just taking some time to breathe. You can also check out some of aSweatLife’s tips on stress relief. Of course, the physical signs of stress mentioned above could also be signs of something else. Don’t hesitate to talk to a physician if you’re concerned about your health.